On Saturday I had the pleasure of driving into Hamilton (my old stomping grounds… I was born in Hamilton, and attended university there at McMaster) to attend a 50 point Steamroller event. This was the first event run by the new Press Ganger in town, Brent (the previous Press Ganger, Tim, now has the honour of being one of only 19 Judges worldwide to have passed the gruelling PP Judges Test, and as such is transitioning some of his tournament hosting duties to the next generation of PGs), and it had a solid turnout at 22 contestants! 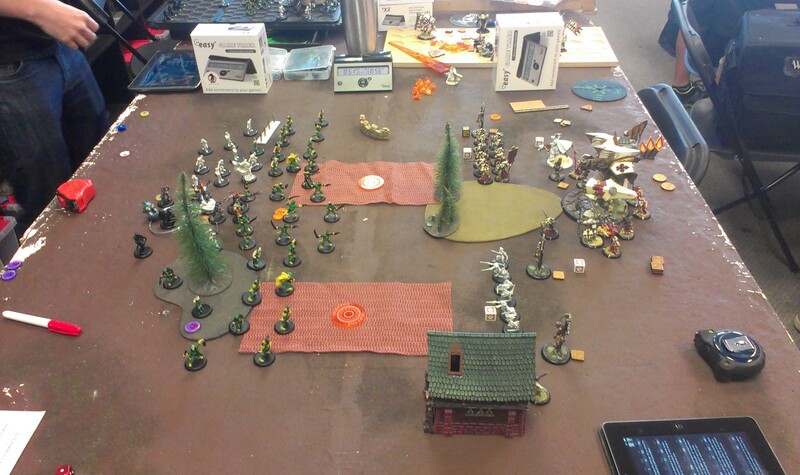 It’s been awhile since I’ve played a tournament… and this was going to be the first time I’ve touched Harby or eFeora in almost 4 months! To say I was nervous would be a bit of an understatement!